Oh I have been there, done that with all three of my children. We got a dog when my middle one was in college and the youngest 14! Now we are trying to decide if we should adopt an older dog from the local animal shelter so it could have a "home for its remaining years". And if you ever decide to get a pup, please check out shelters! They are so much cheaper and some of them will have already spayed or neutered the animal. As for Cyber Monday I thought it was a big bust, at least for me. I think you had a much better time with your little girl! Have a nice week. Now that ought to be a hard moment to dealt with. Eventually I haven't gone through that of course. 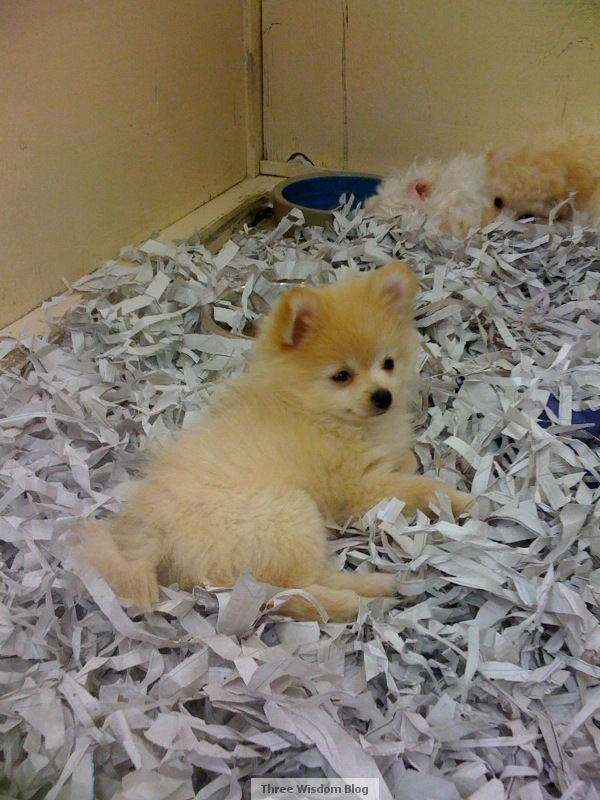 But I would probably end up buying the puppy, because I love a puppy too XD. 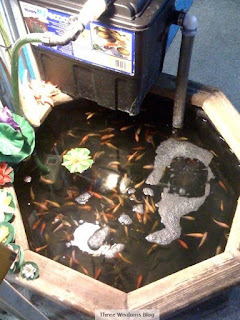 Actually fish is easier to take care than a dog as the area is contain. 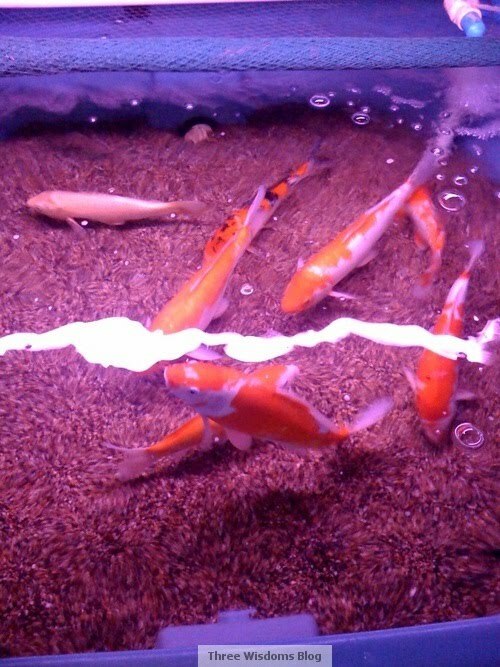 I keep fish as pet also. Hehe. But girls seldom like one. The big fish in the first fish photo is river fish which can be found in some river over in Malaysia. We call it "Kaloi". I did kept one before and the size is really big. 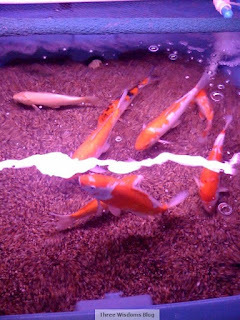 Can grow up to 60cm. 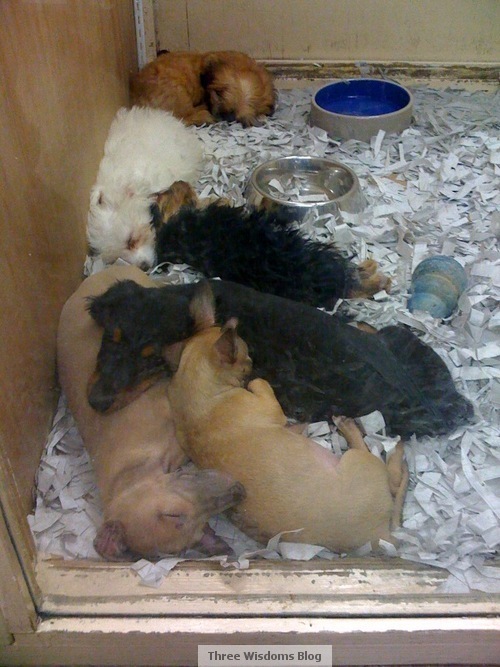 @Cheryl - thanks for the heads up about animal shelters. If I ever let my girls get a dog, it'll be when they are in their teens. @KN - I get that reaction alot, maybe it's cos fishes are considered as pets? 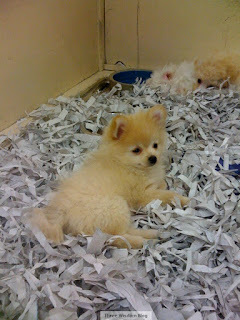 @Ladyviral - I was so tempted to buy the pup but I had to be firm about not owning one while my girls are still young. @Superman - Oh of course, dogs require ALOT of work. I used to live with two. 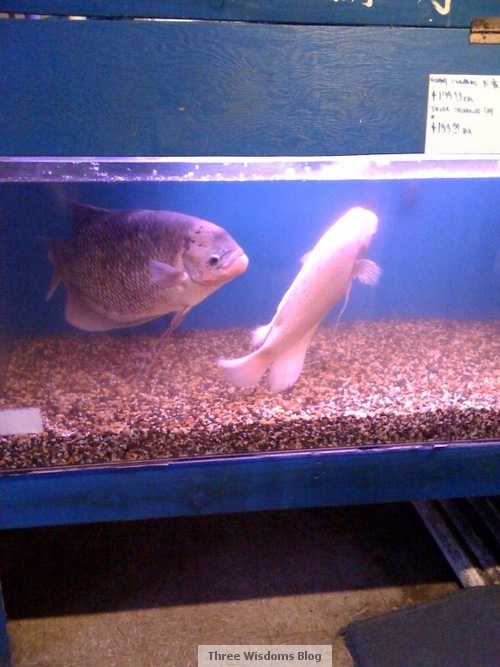 You recognize the big fishes? You must know a lot about fishes then. @Levian - You were lucky that you mom allowed you to keep your cat. My brother pulled that trick once and brought a pup home but my parents were firm on their decision so they made him return the pet. It was sad to watch the pup go but my parents were very strict when I was growing up. Hi, found you on Plurk n not sure if i entered the info correctly. anyhoo, dogs are cute to own. i have two but a bit of work though. my friend has one that looks just like the pix. good dog or maybe she trained hers right? I always love to keep a doggie but staying at the condo is not possible to keep one alth some ppl still doing that here... Hey your girl is good there, she is willing to accept what u've told her! That's a cute puppy. But taking care of pets is a huge responsibility. Oh, that's a cute puppu alrite! But I don't like to have dog as pets cos its lifespan is shorter than us humans and I know I will be broken hearted when it dies one day! @Foongpc - I agree with you 100% on this and this is the same thing I tell everyone too. It's too painful to love pets knowing that their life span is short. You are right about pets - they are a big pain in the lower vicinity of the human rear. Actually, we have cats in our house that we don't even own. They belong to our neighbors. They kinda imposed themselves as our pets because they assume it's appropriate to do so considering they eat our leftover foods. Talk about animal rights... jeepers!